Even though the South SF Bay Area is recognized for its warmer climates the farther south you go, the winters do get very chilly, especially throughout the nights. This means that you will end up running your gas furnace throughout the winter season. 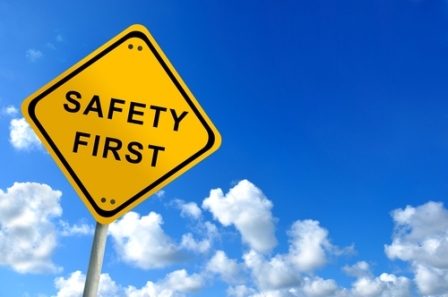 Ensure that you abide by these safety tips when operating your gas furnace. Carbon monoxide (CO) sensors - Your furnace generates a small amount of CO, which happens to be an odorless, tasteless and a gas without color, as a byproduct of its combustion process. However, if it creates too much due to a leak or inefficient operation, it could be deadly. CO detectors will alarm your household when the amount of CO in your house is too high. Make certain you don't set up a CO detector too close to your heater, as the small, safe amount of CO it typically produces might trigger the alarm. You want to keep area clear - Don't crowd the area around your furnace with furnishings or cardboard boxes. And definitely don't have anything combustible close by. For people with children, make sure that they don't play around this area too. Replace the filter - A clean filter permits air to circulate more effortlessly from the furnace to the rest of your house. A grimy filter will result in the furnace working inefficiently, resulting in more wear and tear. Examine for gas leaks - If you find any gas leaks around the furnace, which you should certainly smell, call your gas company right away. They will dispatch a tech to correct the problem. The gas meter - Never cover up your gas meter. It must be easy to get at in case you have to turn the gas off quickly in the event of an emergency. Inspection - Have your gas heater professionally inspected prior to the peak heating season arrives. A licensed contractor will make sure it runs as efficiently and safely as possible including checking for damage. To learn more about safely running your gas furnace, or to schedule an inspection of your furnace, email or call Sandium Heating & Air. We service the South Bay Area with the best support available. For people who are eyeing to buy new furnace must consider reading this one. It will give them perspective to make their furnace safer and more efficient.